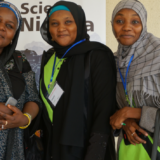 Data Science Nigeria member, Zainab Ishaq Musa, a student of the Ahmadu Bello University, Zaria has led her team (Team Egesta) to win the Hult Prize regional challenge 2018 competition on the use of machine learning to solve energy challenges. The competition is a rigorous and high-intensity pitch alongside 5 other teams. The regional winners will be invited to a Summer Accelerator at a castle in the UK and the Global Finals will hold in United States for a $1,000,000 prize. 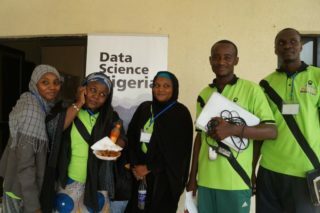 Zainab Ishaq Musa was the only female of the top ten participants offered full employment opportunities by KPMG Nigeria following her participation in a challenge at the Data Science Nigeria Bootcamp hackathon held last year. 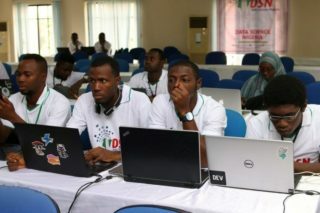 At the hackathon, participants were provided with data of twenty-three thousand (23,000) retail customers, from over twenty-nine (29) cities across Nigeria. Their task was to understand the preferences, levels of satisfaction and expectation of these customers. They were asked to identify five (5) to seven (7) distinct customer segments and develop a market targeting approach for a new dollar card product for them. The KPMG Feedback to the submissions was noted for its superior conceptualisation, its reflection of an extra mile effort and the ability to leverage data to solve the life problems. Zainab is passionate about knowledge and she is always willing to go the extra mile in her quest to acquire the latest knowledge in her chosen area. 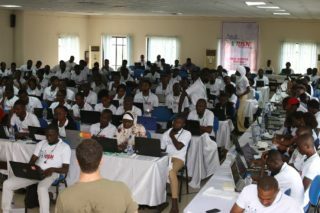 This explains why she had to go through the stress of about 15-16 hours road commuting to attend the past Data Science Nigeria Bootcamps held in Lagos. She was among the participants who attended from locations outside Lagos; such as Zaria, Kaduna, Uyo, Abuja, Ilorin, Ibadan, Abeokuta and Benin Republic. Zainab is one of the only few people that have participated in 4 Data science Nigerian Kaggle competitions. She painstakingly went through the intensive demand of passing all the pre-qualification courses to the Bootcamp and was among the Top 5% in all ranking. Trust me, the process is rigorous. You can check the details here. Zainab is a postgraduate student. 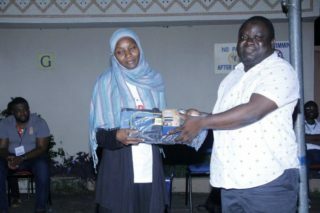 She was recognized at the 2nd Bootcamp and awarded with a special gift for her participation. She has an M.Sc.in Computer Science from Ahmadu Bello University, Zaria, a Post Graduate Diploma from Bayero University, Kano and degrees from Abubakar Tafawa Balewa University, Bauchi and Zamani College, Kaduna. She also won a merit award during her NYSC. 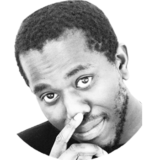 Zainab has built data and predictive models using taxpayers’ information. Her broad experience in data analytics and visualisation includes R, Python, Tableau, GraphLab, Alteryx, Elbow Curve, PCA etc. “I feel great receiving all the congratulatory messages…thank you DSN team for all the inspiration, support, team spirit and love. Wouldn’t ve achieved this feat alone. 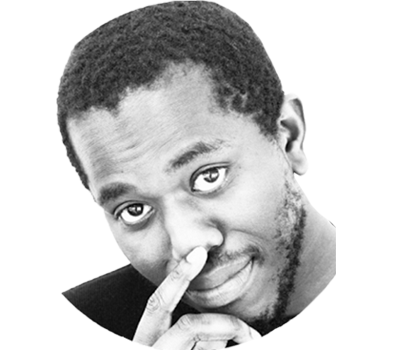 Mr Bayo Adekanmbi has been a pillar of strength to all of us, we will be forever grateful. To our mentors including him, we’ll keep following ur footsteps and guidance to achieve more and attain greater heights…Merci merci much🙏🏾🙏🏾 love😘”. The Hults prize was created to challenge young people to solve the world’s toughest issues by empowering them to make money, do good and make life better for millions of people through the creation of good for-profit businesses. Hult Prize, through its awards, has helped launch startups that actively solve UN SDGs through leveraging human capital, knowledge and the crowd. The focus is to serve the least fortunate, tackle humanity’s greatest challenge, pursue revenue and sustainability, use existing channels, create a market efficiency, and pursue the untapped market. The competition will include at least 10 student teams across campus, with the winning team advancing directly to one of the fifteen regional finals, bypassing over fifty thousand applications from the general pool. One winning team from each host city will then advance to an all-expense paid summer business accelerator program at the Ashridge Castle London for eight weeks, where they will receive mentorship, advisory and strategic planning as they create prototypes and set-up to launch their new social business. The Hult Prize has received the partnership of the Clinton Global Initiative and the United Nations to create a more prosperous world. The competition is referred to as the Nobel Prize for students and President Bill Clinton calls it one of the top five ideas changing the world.